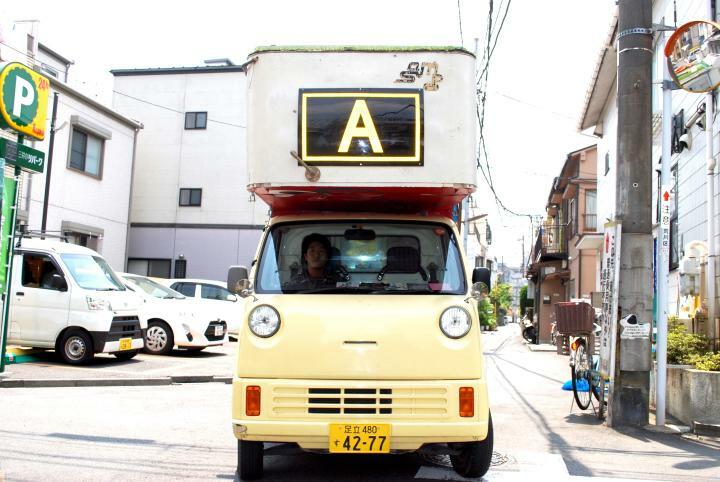 Sampo Inc. is developing a mobile house business in central Tokyo. The company offers lifestyles that are not rooted in money or a single location, and it has received attention from a wide range of industries. 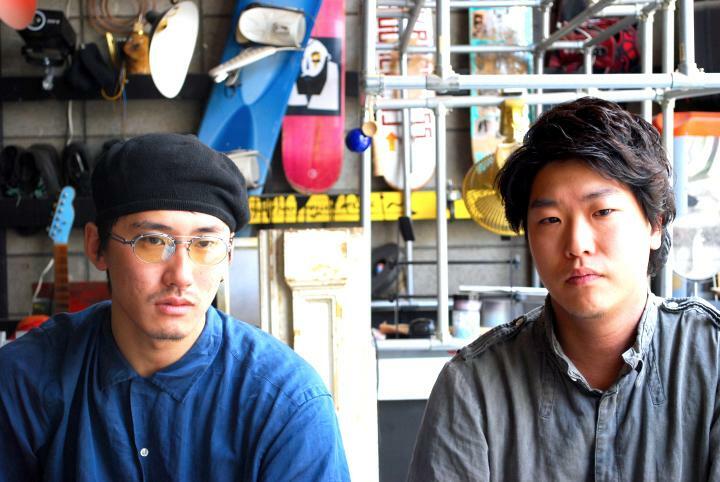 Sampo was founded by Riku Murakami and Issui Shioura. Both are in their twenties and have had various life experiences. 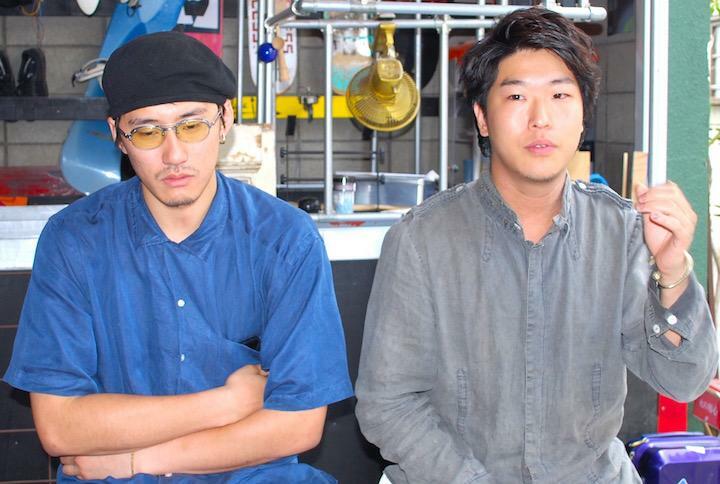 They are talented millennials with a lot of sensibility. People today are focusing more on experiences than on material things, and mobile housing offers opportunities for various encounters and unexpected situations. What kind of global trends could this lifestyle bring about? 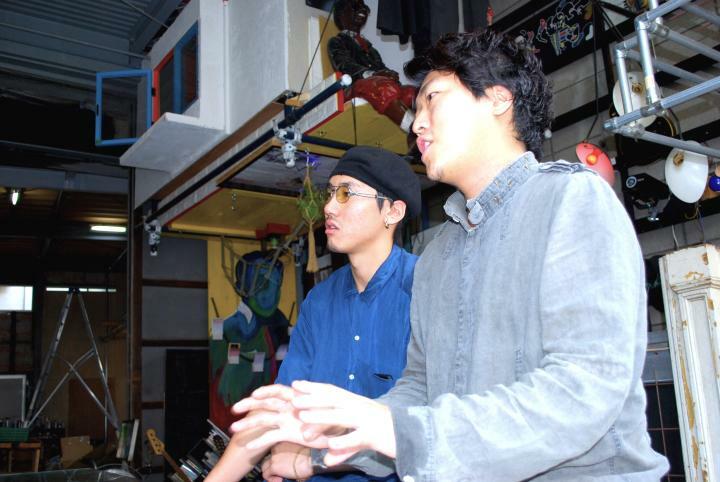 Game Changer Catapult sat down with these two young entrepreneurs to talk about the future. Suzuki: First of all, could you tell us what Sampo is about? 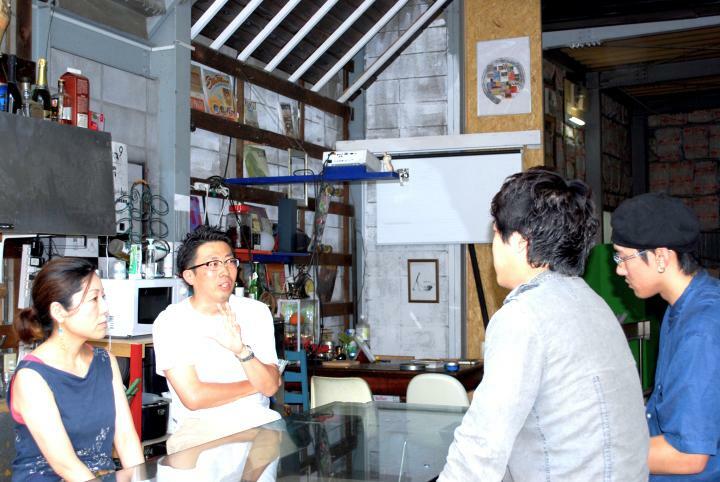 Murakami: We are proposing lifestyles for the future using a mobile house. 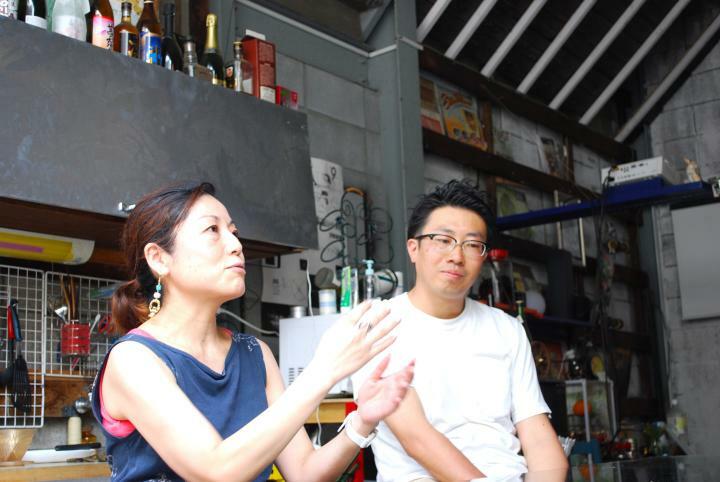 Left: Riku Murakami, Chief Executive Officer and Co-Founder, Sampo Inc./ Right: Issui Shioura, Chief Architecture Officer and Co-Founder, Sampo Inc.
Shioura: We founded Sampo in November 2016. Suzuki: It seems that the concept of a mobile house, or a home on wheels, has been gradually gaining attention in recent years. What is unique about Sampo? Murakami: The mobile house that we are proposing really captures the feeling of a personal space. It does not include a kitchen or toilet, because it is a private room. We have not included the infrastructure components, and will leave them to the real estate companies. We have built a personal space that is able to dock at various kinds of stationary facilities, which put together, create a home. Shioura: It is like a private room that you can take with you to various shared facilities, giving you multiple bases. We call the stationary facility part of the concept, HOuse Core (HOC), and the mobile personal space, MObile Cell (MOC). Murakami: The combining of a MOC with a HOC is what creates the home. Suzuki: Panasonic makes mainly consumer electronics, and one of the basic premises for our business is that homes are always stationary. Even if it might be biased, this is a widely held notion, and what you're doing is breaking down this idea. I think it is very interesting. What motivated you to launch this business? Murakami: I used to be a virtual reality (VR) engineer. The aim of VR is to try and reproduce something real in a virtual world. But if you don't understand the difference between virtual and real, you probably cannot create real VR. So, I looked for the thing that was the most real in my surroundings. The answer was my mobile house. Having grown up in a carpenter's village, I already had the skills to make a house. Then I decided to take a trip, and I imagined that there would be various encounters and unexpected incidents, and it would be completely unpredictable. To me that seemed like something real. While traveling with my newly constructed Mobile House No. 1, I stopped at a river in Nagano Prefecture. This was when I was working on the development of a VR Robot for Tokyo 2020. Just as I was there by the river, my engineer friend sent me a VR project he had created using Unity that reproduced the flowing waters of a beautiful river. It was really well done. But then, when I stepped out of my mobile house, there was a real river in front of me. The sense of reality was completely different. The actual river scenery had many more parameters such as a waterfall, sunlight streaming through the trees, and moisture-laden air. There was no way to recreate it, just by getting a progress bar to move across the bottom of the screen. That is how I suddenly recognized the limits of virtual reality and changed my focus to the mobile house instead. After that, I met Issui. Shioura: My background is in architecture. My parents are an architect and a designer. 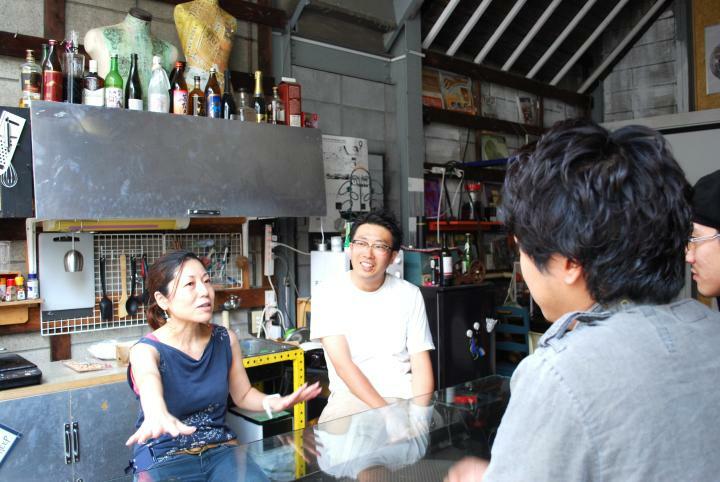 When I was small, they would tell me things such as, "This place is worth 330,000 yen per square meter." When I got older, I started to wonder why it cost so much just to live in a certain space. I got the feeling that many aspects of conventional housing are not necessary. When you rent a home you usually get a box attached to a piece of land, but with our concept, the box is completely separate from the land. Any facilities attached to land can be paid for as you use them. Actually, this idea has always made the most sense to me. Why do construction professionals never mention such concepts, and only make public facilities for rich people? This is true not only for individual buildings, but also at the city planning level. Starting in the 1950s in Japan, there was an architectural movement called Metabolism, involving moveable capsules and units. The Nakagin Capsule Tower in Ginza is an example of this. I think the concept is still relevant, and would actually be more effective today. Suzuki: I see what you mean. At Panasonic we have tried to make residential living spaces convenient and functional for everyone, by producing consumer electronics such as air conditioners, televisions, and refrigerators. However, it is doubtful that home appliances alone can provide the best solution. For example, you were talking about real experiences. It may be necessary to think about real homes for each individual, by customizing dwellings to personal specifications. 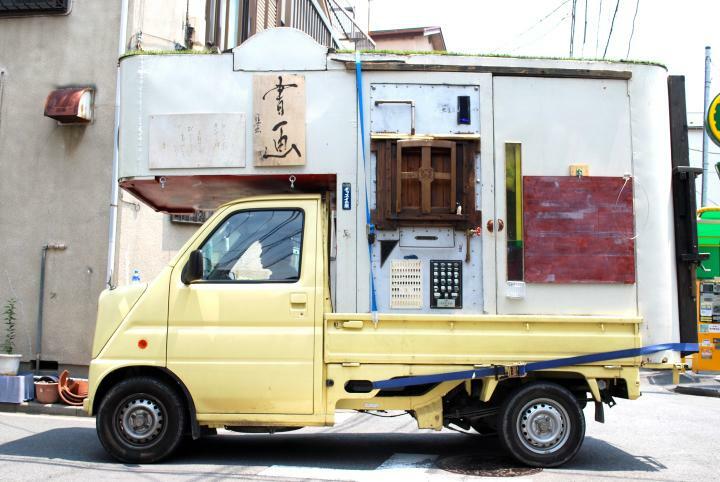 When I look at the Sampo mobile house, I can really feel the originality. Each person can design their own space according to their purposes and preferences. Is this something you think about? 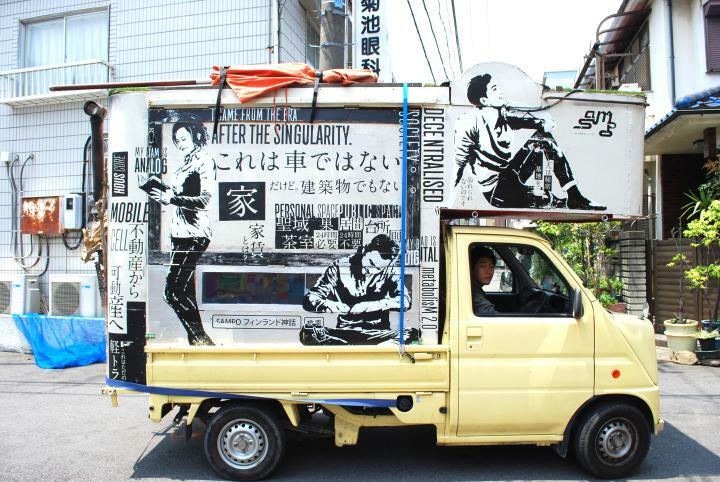 Murakami: I think we may have made this possible with our mobile house, without realizing it. You can create it to your own body scale, there is no need to over-extend yourself. Because the space is limited, you can only include the things you really like. That's why the person becomes important. It is more like clothing than a conventional home. I call it a wearable house; just by living in it, the personality comes out. Suzuki: You are talking about a dwelling that reflects your personality like clothing, and that you take with you wherever you go. By being mobile, you have real experiences and encounters, and a lot of interesting things happen. Murakami: Up until now, most people have set their sights on getting a wonderful large house. However, since our house is a small space that also moves, you naturally begin to feel like the entire city is your home. I once took a business trip to Kyoto and brought along a 19-year-old student. When we returned to the station nearest our office, the student said, "We're home already, I'm going to take off my shoes." Shioura: When I get back to the neighborhood I live in, I feel as if I've just stepped inside my home. The narrow street that leads from the station is like a hallway, and if I turn down a side street, there is a public bath and a restaurant. Do I want to eat first or have a bath? I just naturally view the entire district as my own home. While this feeling is natural for me and Riku, it was really interesting to hear a young guy say that after staying in a mobile house for only a short while. 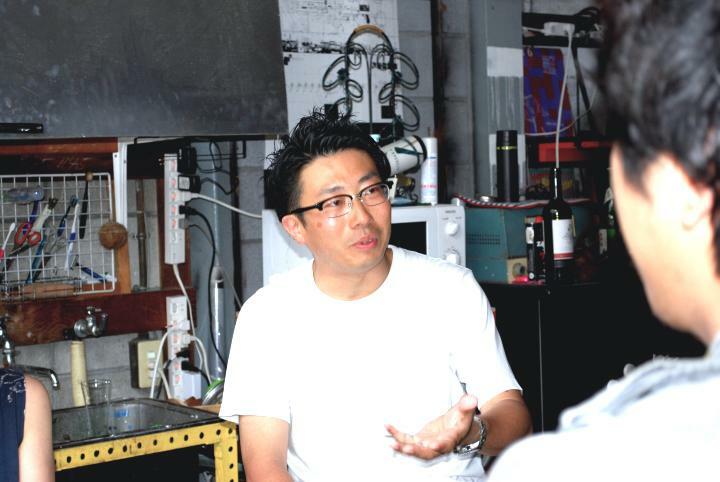 Suzuki: I think your idea applies to more than just houses. For example, every family believes it ought to have a refrigerator as a rule, but is it really a must? Couldn't there be two or three refrigerators in a neighborhood that people can share? Taking the idea further, a rice cooker is not a home appliance that we need to use 24 hours a day. However, that might not be the right thing to say at Panasonic (laugh). Yokota: With this living concept, I guess the refrigerator is going to be a convenience store or supermarket. 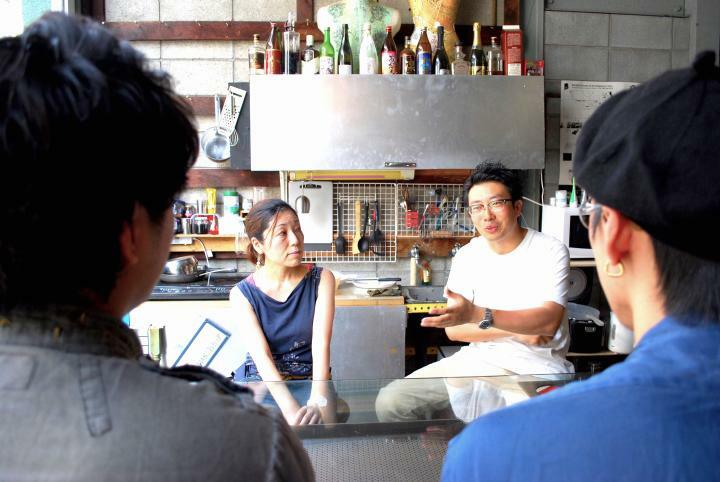 Murakami: Since we already have our house core, we start to develop a communal living mentality. Everyone shares a lot of things. It just becomes normal. Suzuki: Take cooking for example. If someone prepares you a dish using a recipe or cooking method you have never seen before, and it turns out to be an amazing meal, it can be a very valuable experience. Rather than enjoying the same old taste whenever you want using a microwave food product, it is important to go beyond the convenience mindset and have life experiences where you can meet new people. We as a consumer electronics maker can sense the necessity of doing things that could facilitate such experiences, and I think it is very close to the worldview that you have explained. If you see the entire neighborhood as your home, then there is nothing odd about sharing refrigerators and rice cookers. Murakami: In fact, the world is already headed in that direction. 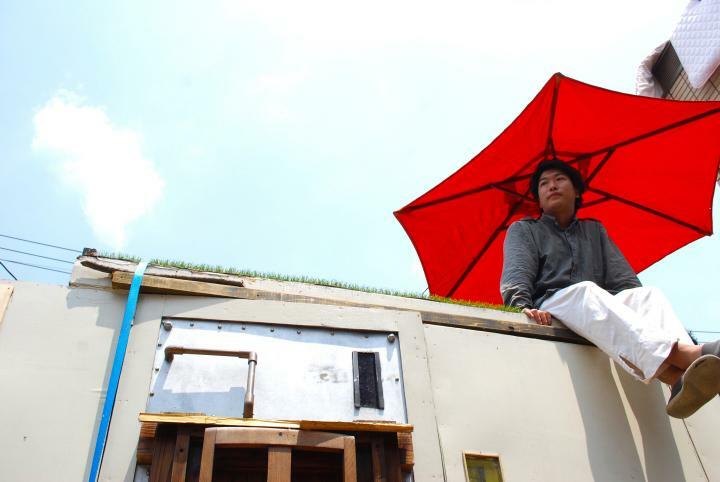 How does the mobile house change lifestyles at a time when people can live to 100? Suzuki: Until now, there seem to have been unwritten rules that dictated the size of your home, the types of home appliances you use, and even the fashions you wear, depending on your age and life situation, whether it be single, married, a young parent, or retired. I think the possibilities for changing these rules can be found in the worldview expressed by Sampo. Now that we live in an era where you can easily live to be 100, it is time to review the conventional lifestyle plans. Will our lives change greatly thanks to the mobile house? Murakami: That's a good question. If you live in a typical stationary home, you probably have a lot of information coming into your brain every day, and it may seem like it is going to explode. Then if you suddenly start a mobile lifestyle, it might be even more difficult at first. You will be opening the door to a different land, and there will be people you do not know. Imagine when people of my generation start to have kids while living in mobile houses. At that point, the mobile native or gypsy native generation will be born. They will not have the concept of a hometown like we do, and they won't feel nostalgic for a particular street corner or shop. So, they can focus on things we cannot imagine. Maybe they will find certain sounds and smells nostalgic. They will be like a new kind of person. Shioura: Japanese society has already gone through various phases. So, each generation has its own characteristics. Those like me and Riku, who are not much interested in economic growth and development, have an outlook that is almost Zen-like. However, as we become adults, we find our own kind of enjoyment and stimulation, and it seems there many new and original ways to enjoy ourselves. The children watching us will be the next generation. So I cannot imagine at all what they will do, and that actually excites me too. Yokota: If we move away for a change of scenery and then move back again years later, the townscape will be different than before. If that makes us sad that the hometown I remember is gone, what about re-creating the original townscape using virtual reality? Shioura: That's no good. I have to object to that. Because virtual is not real. When I mentioned that sounds or smells can create nostalgia, it is because I believe that information obtained through the five senses is more closely linked to memories. Yokota: I see. Almost all of the digital content that people enjoy now is actually an archive of the past. It could be that people will no longer be interested in that kind of content. Future content could be various real experiences created in real time, triggered by the individual's five senses, including sounds heard and scents detected, moment by moment. Therefore, it may be necessary to create a live feeling or a sense of immediacy. Suzuki: I feel like things connected to the five senses and human sensory perception will become more important to our experiences. That is why a project to provide personalized scent experiences is also underway at GC Catapult. Technologies for viewing and listening have become commonplace, and areas such as taste, food texture, fragrance and touch are indispensable for fulfilling experiences. If Panasonic develops technologies in these areas that allow people to have lots of direct experiences in various places, like the mobile house lifestyle, we might be able to converge at the same point by 2030 or 2040. That would be a whole new world, wouldn't it? 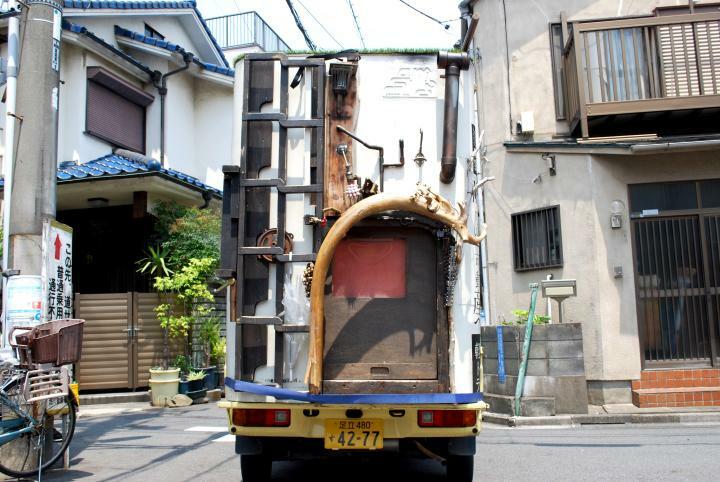 Murakami: Because a mobile house is small, you are much more affected by scents and sound than you are in an ordinary stationary home. If you pay full attention to these, they can have the same level of impact as, say, a huge tacky shelving unit in a typical home. I've tried various things, and concluded that the best interior finishing for the mobile house is sound. Some people are sound-oriented while others touch-oriented, but I think that interiors should be finished with elements that appeal to the senses. Shioura: That's because the interior is completely different depending on the sounds and scents generated. I think that lighting can also be used. Yokota: Can sound or scent be a way for people to express themselves? Murakami: Well, anything can be used. It all depends on your personality or how you feel on a particular day. It's like, today I'm in a certain kind of mood, so I will choose this. Yokota: Your feeling at that moment? Murakami: That's right. But that does not mean high-performance speakers are always the best. Today, I might feel like hearing the scratchy sound of an analog device, or maybe I want the electronic noise created when I crank up the volume with the cheap earphones I bought for 100 yen. Each time, I finish my interior by choosing the sound I want to hear. I pay special attention to this, especially when I invite someone to my mobile house. Suzuki: It sounds like it's all part of having fun. Murakami and Shioura: That's right! Suzuki: I think finding the best ways to have fun will become more important in the future. Because mobile houses let you to experience various things directly, they enable you to get better at having fun. Is that what you are focused on? Shioura: Yes, in many ways we are focused on that. To give you the extreme viewpoint, isn't having fun the point of being alive? The feeling that life is meaningless if it isn't fun, is quite a universal one. That's why Riku and I do not distinguish between our personal interests and our work; they are practically same. We don't have a life where work is boring and our days off are fun. We are always thinking about how to have fun. Murakami: I think those who are good at enjoying themselves will be the survivors. For example, I don't think the invention of the automobile has really made people's lives better. While individual trip times have decreased, it has also made people a lot busier. The car was probably invented for fun, but now it is taking away our free time. Shioura: There is no reason to believe that the creation of AI will mean that we don't have to work anymore. Maybe that was the intention of the people who have developed the technology so far, but it has only made the work of people more efficient, or just faster. The production line itself has not changed. The issues are not convenience or technology anymore, but rather values and actions. Isn't it just a matter of choosing which one is better? That is why AI has not been widely adopted yet. I think the same thing can be said for work styles and so on. 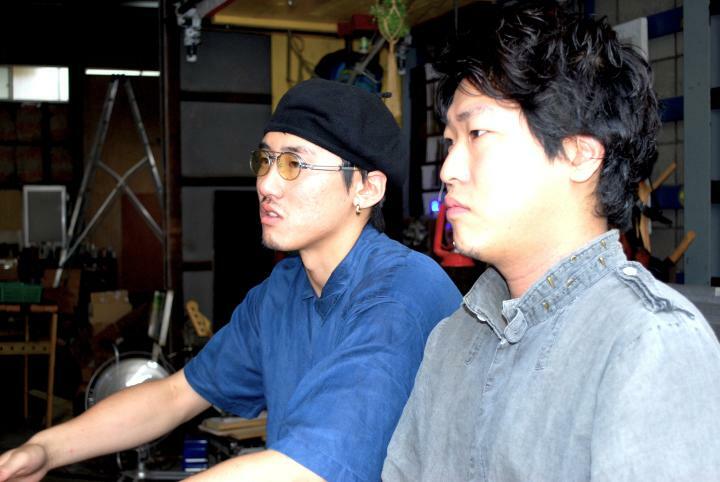 Riku Murakami, Chief Executive Officer and Co-Founder of Sampo Inc.
Born in 1996, Murakami started up several businesses in Tokyo during a break from university, including those involving sake, sneakers, and virtual reality. 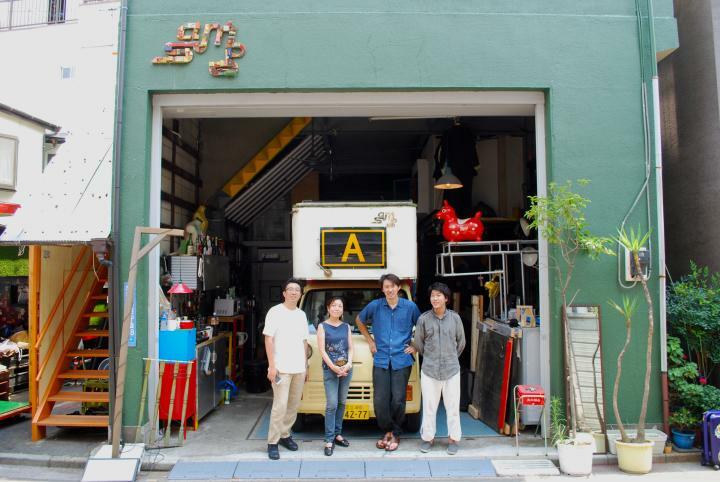 While running his VR company, he built himself a mobile house to fit on the back of a mini truck and started using it as both a home and a mobile office. It was then he realized the "virtual" in "virtual reality" was not necessary, and he switched to the mobile housing business. 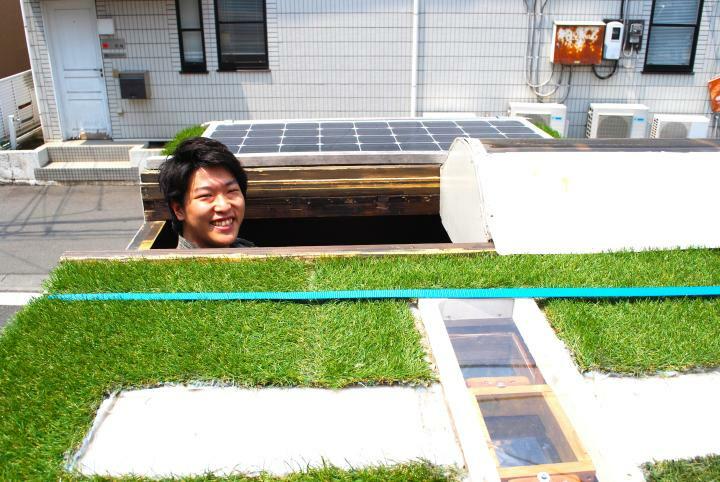 Issui Shioura, Chief Architecture Officer and Co-Founder, Sampo Inc.
Born in 1993, Shioura graduated from high school in Milan, and went to UCL Bartlett in London to study architecture. In 2016, he came back to Japan and won the Shinjinsen 2016, Japan Architectural Rookie's Award. 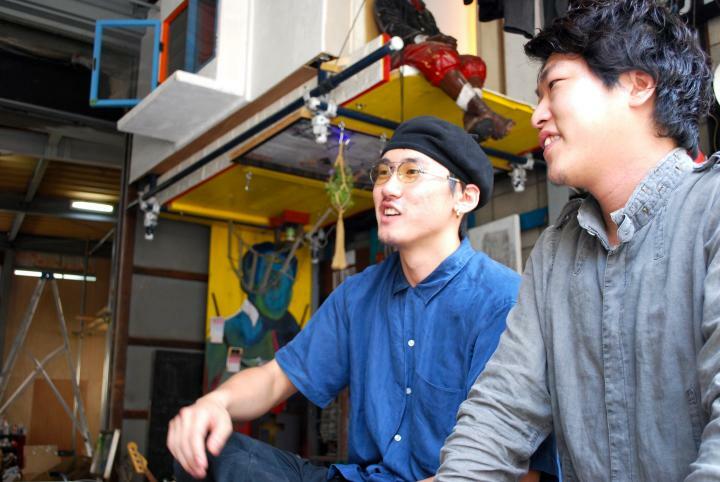 After working on various projects for an architectural firm, he decided to found Sampo with Riku Murakami in order to realize housing that does not require rent.